For all that is done well in the film, Madhouse is a mess of a film, one that wants to scare us, but fails to do so. That being said, Madhouse is not a total waste of a film. 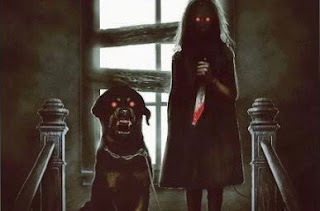 There are some scenes that play very well and the dog is used very well. Arrow has done a nice job with the film, all things considered. Note: Before you go any further, know that this review is filled with spoilers. Most of them are found in the film review section, but some of the screencaps included spoilers as well. Contains the same special features as the blu-ray. 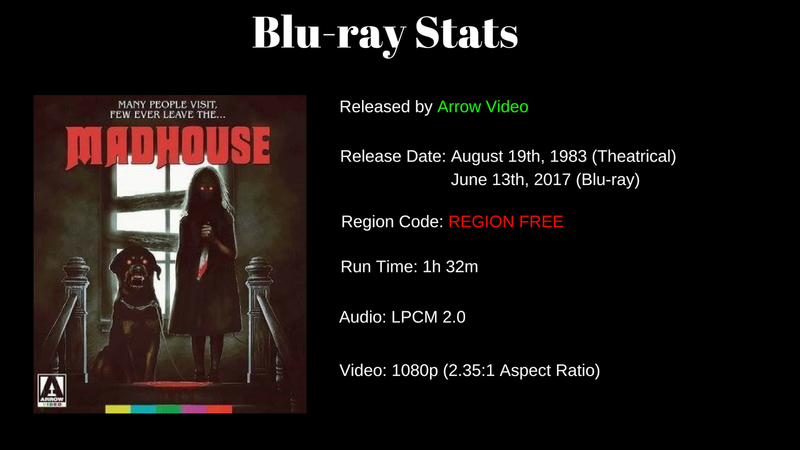 From the Arrow Video Facebook page. I can not review the packaging as this was sent to me as a screener. We do know that the blu-ray will come in a clear double wide blu-ray case that Arrow uses for most of their releaes. Inside there will be one blu-ray and one DVD, both containing the same special features. There will also be a booklet with writings on the film. Last but no least, the cover art will be reversible with one side featuring the film's original theatrical poster and the other side featuring newly commissioned art work by Marc Schoenbach. Both the Blu-ray and DVD will be REGION FREE. Presented in the its original aspect ratio of 2.35:1, Madhouse looks very nice. Colors look good as do skin tones. There is a fine layer of grain that grows heavier every now and again. There are instances where the picture is out of focus, but it happens very briefly and is probably inherent to the film itself. We are given the film's original 2.0 soundtrack in LPCM form. The track handles everything very well. Dialogue is crisp and clean and there are no distortions to the soundtrack detected. Madhouse is a strange film. It wants to be a slasher film with Italian sensibilities, but it doesn't really work. What we are left with is a film that is all over the place, making for a less than enjoyable film experience. The film was directed by Ovidio Assonitis, who is the infamous producer who fired a then unknown, James Cameron from his first directing gig, Piranha II: The Spawning, so that he could direct the film himself. Here Assonitis shows that he can make scenes creepy, but he can also bore the audience with endless scenes that go nowhere. Add to that the "twin sister" plot and you have a film that can't make up its own mind on what it wants to be. One thing that I discovered while researching this film was that it was one of the video nasties, a group of films that the U.K. film board either cut to shreds or banned altogether. Madhouse was one of the films that was cut to shreds, but I honestly had a tough time figuring out why. There is some nice gore at the end, but the film is pretty tame. The version on the Arrow Video disc is uncut and I still had a hard time figuring out why this was a video nasty. If Madhouse had been more focused I think that the film would have been better. 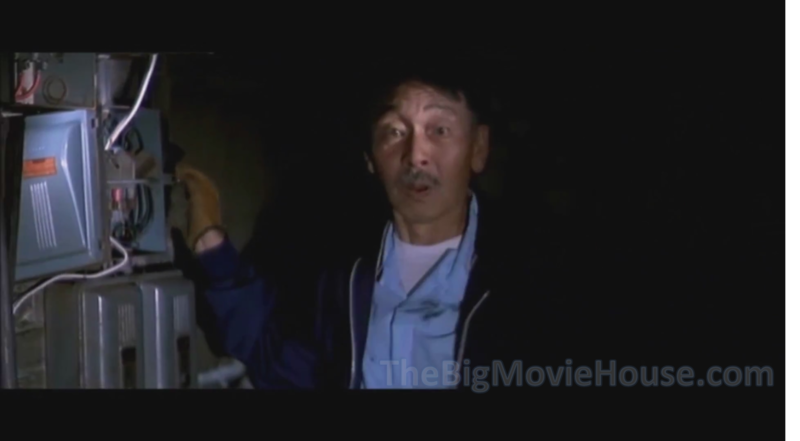 Like I said, there are scenes and even ideas that work (I like how the killer sends in their dog to do the dirty work), but the film is so poorly directed, and written, that when we do get a scare we do not know what to do with ourselves. I know that there are people out there that like this film, but I just could not get into it. And the twist is something that one could see coming from a mile away. Another film, brought to us from Arrow Video, that I had never heard of, which means I had zero expectations going in, and I can say that I wasn't disappointed (being that the number of expectations was zero), but I can't say that I was all that pleased with the film either. The film has more problems that it has things working for it, but there were still some things that I did like about the film (like the dog), but not enough to make me want to watch it again. The blu-ray is nice,with good picture and sound, but it never meets the high standards that Arrow sent for themselves. The special features, with the exception of the commentary track, are one watch only features. Still, Arrow has gone that extra mile for a film that other companies would have just thrown on blu-ray and been done with.